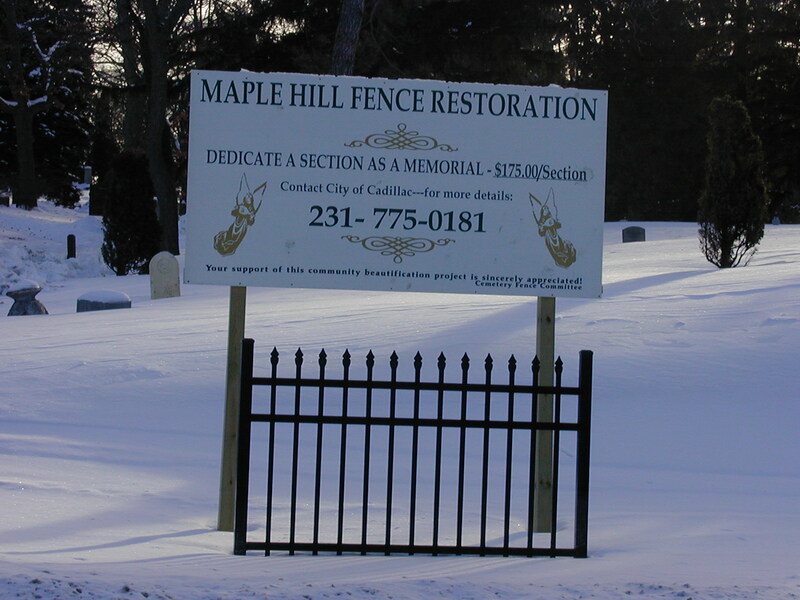 Thanks to the hard work of those volunteers forming the Cemetery Fence Committee and the donations of many individuals and organizations, a beautiful fence was constructed along the western boundary of Maple Hill Cemetery. The Cemetery Fence Committee was created with the purpose of returning the traditional and historical significance of the fence to those who have family members or loved ones buried in the cemetery. Donations in any amount are also greatly appreciated. Forms can be picked up at the Municipal Complex. Make checks payable to the City of Cadillac. Please include your return address and phone number so that the tax deductible receipt can be sent to you.